Your chance to learn a skill that’s also a very profitable business. That is, re-covering and refurbishing upholstery. Almost everyone has this type of furniture in their homes – and will pay hundreds to have it carefully re-upholstered. 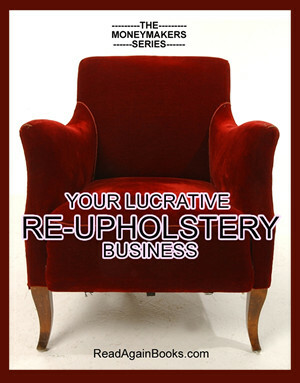 This guide concentrates especially on getting lucrative work, but there’s also a basic system you can use to re-cover upholstered furniture. File Size : 260kb approx.